What do we really mean when we say we’re “blessed” or use the #Blessed hashtag? For most of us, we actually mean we’re thankful for what we have. When we use the word, “blessed” the wrong way, our intentions are absolutely good, but we run the risk of confusing people about the love God has for them. If you just won the bull riding, barrel race or team roping, the first instinct of most cowboy and cowgirls is to acknowledge how blessed they are to say what a blessing it was. We say that about most anything that impacts us positively, not realizing that someone who is struggling and going through one of the trials God can let us experience can be left wondering what they’ve done wrong, why God doesn’t seem them as worthy of a break or wonder if they have any faith. For someone who doesn’t already believe in God or is struggling to understand the Christian faith, it can leave them very confused about whether or not God loves or even cares about that. We want them to come to a saving faith in Jesus, so we do have to take the confusion this can cause very seriously. Some of us overlook the verses about finding joy in trials or the sermon on the mount that tells us we’re blessed when we struggle and most of us don’t understand that the struggles we face are opportunities to experience God’s blessing because at their root is an opportunity to seek God’s strength and wisdom and ultimately grow closer to Him. That is a true blessing. But when we recognize it was through God that we received the gifts, the wins, the successes and every good thing we have, what we need to express is our thanks. And in Ephesians, Paul is encouraging in this part of his letter to the church in Ephesus that they avoid sin, celebrate the Lord with joy and then encourages them to be thankful in everything. We see Paul encourage thankfulness again in Philippians to his letter to that church as well, encouraging us not to worry but to trust God and always be prayerful and thankful in every situation. Philippians 4: 6 Do not be anxious about anything, but in every situation, by prayer and petition, with thanksgiving, present your requests to God. That again points us to how there can be good in a struggle and how by changing the language we use when we’re thankful, we can help others to understand blessings can both be wonderful gifts from God but can come through struggles and hardship. By working to start using the term, “thankful” we can remind ourselves to be thankful to God in all our circumstances, we can point others to the joy we have in our saving faith in Jesus when they see our thankfulness in the good and what we might see as ‘bad’ until we realize God is using that for His purpose and our ultimate good. 1 Thessalonians 5: 16-18 16 Rejoice always,17 pray continually,18 give thanks in all circumstances; for this is God’s will for you in Christ Jesus. #Thankful for God challenging us through His word. How on Earth can being poor in spirit, acting meek, being persecuted or suffering personal loss mean we’re blessed? It can be signs in our life that we belong to Jesus, have been reconciled with God and are looking toward a time, not long from now, that we will be living a perfect life in Heaven where neither the successes we achieved here or the struggles we went through, will matter anymore. Our culture tells us the opposite. We daily throw out the hashtag “#blessed” on social media when we win, have something great happen to us or just want to say how happy we are the way a circumstance unfolded or with a gift or way we were treated kindly be a friend or family member. 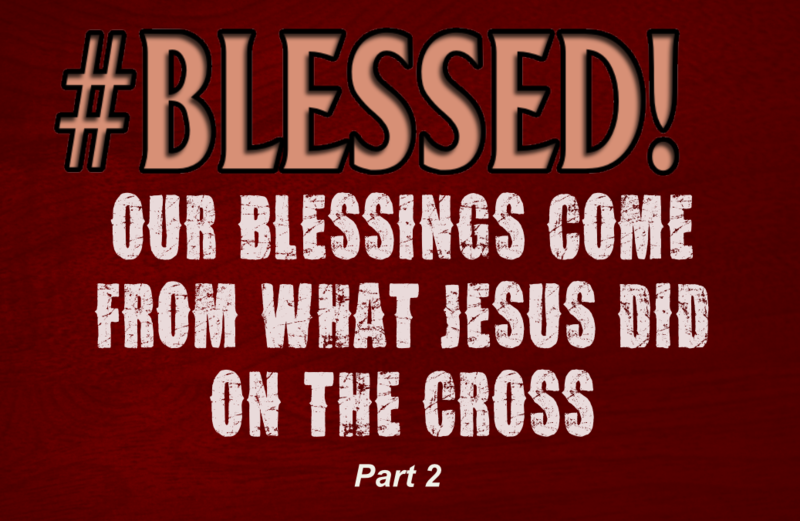 Those are great things to be thankful for but Matthew gives us a list of blessings from what is known as Jesus’ Sermon on the Mount and in those, we see a long list of blessings that are anything but what we normally associate a blessing with. 11 “Blessed are you when others revile you and persecute you and utter all kinds of evil against you falsely on my account. 12Rejoice and be glad, for your reward is great in heaven, for so they persecuted the prophets who were before you. Verse 3 Poor in spirit means to realize we need God. To not rely on our own strength but to realize we’re dependent on him and to set aside any pride to be willing to receive his help. 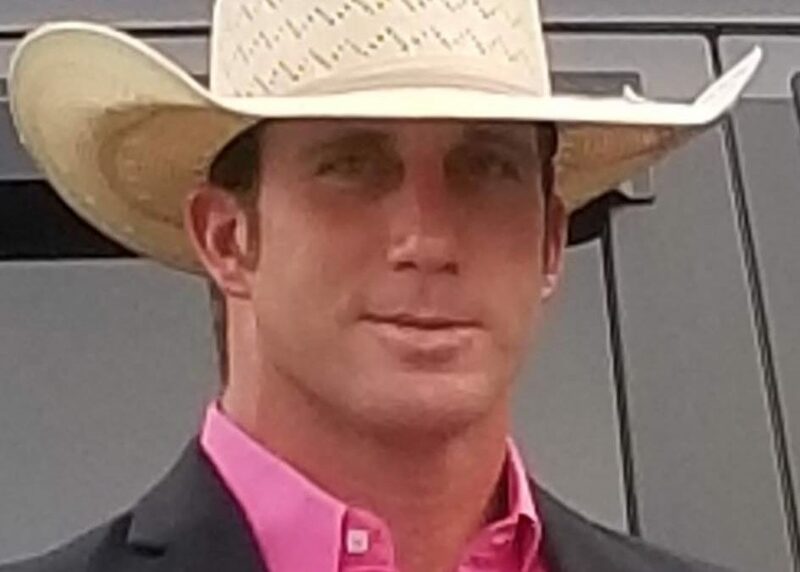 Pride is one of the biggest reasons a cowboy won’t turn to Jesus for the salvation He offers because it feels like having to give up who we are and not allow Christ in us to change us. Verse 4 In our grief, we can find comfort so it is considered a blessing but while grief and comfort can come through a personal loss, it can also be grief over our sin and our desire to be right with God. Verse 5 Being meek, we still have everything to gain (Meekness is explained in important detail in a second section below). Verse 6 Hungering for righteousness can be a sign of our salvation or our desire to be saved. When we receive forgiveness for our sins through Jesus’ death on the cross and our repentance, and faith in his resurrection, we are immediately made righteous before God. Jesus was a sacrifice to pay the price for our sins. Without Jesus, we can’t be seen as righteous. To seek Jesus, to be saved and to want to be more like him, righteous, brings about a pretty big blessing in our lives. Verse 7 To be merciful is to show to others what God showed to us through Jesus. We deserve death. That’s just how sin and the nature of God works. God will judge and condemn all sin but He shows us tremendous and amazing mercy by sending Jesus to die for our sins so that if we seek him with a repentant heart, asking to be forgiven and believing he was the Son of God who died for our sins to then be resurrected again, we are granted mercy from God’s judgment of sin. Instead of being condemned to Hell, we are given eternal life and eternal happiness with God and Jesus in Heaven. So how then, can we not show mercy to others who may not deserve it from us? And how can we receive mercy if we’re not willing to give it to others? Verse 8 Being pure of heart would require all our sin to be gone from our lives. While that will never be obtained, again it is Jesus’ death on the cross that makes a way for God to see us without any of the sin that remains as we begin a process of becoming more like Christ. But to see the face of God, guys, this is huge. It’s through our salvation that we can know we will get to see Him, be awestruck by it all and know we are being received by Him for a perfect eternity. We really need to stop and think about that to understand the true blessing that that is. Verses 10 to 12 show us that we can expect to be persecuted for being Christians. We see this in our current culture through people losing their jobs for expressing their faith publicly and in countries around the world where people are murdered, executed or imprisoned for their faith the same as they were 2,000 years ago when these words were first written. When we set our own wants and goals aside and pursue what God wants for us, we can find true blessings, even when it involved struggles, hardship and pain. Much of the blessings that Jesus taught here point to outcomes from our salvation. We’re blessed not by what we can accomplish here or what we are given, even when we know it’s a material gift or success coming from God, but by what Jesus accomplished for us through dying on the cross. The changes it brings to our lives, the fruit that appears as we grow more like Christ and the joy that can come even in a struggle, to know that this is temporary and a perfect, eternal life has been given to us who have repented of our sin and sought a saving faith in Jesus. Just like we can easily misunderstand what it means to be blessed, there is a huge misunderstanding about meekness. As rodeo cowboys, ranch cowboys or bull riders, you understand what it means to be tough and the idea of being meek is often associated with being weak. Instead, think about it as strength under tight control. That isn’t easy. Jesus had the power of God on Earth. He healed the sick and diseased and worked many miracles. But they were for the benefit of others. To restore them, help them, heal them and most importantly, to show them he was who he said he was. God among us, here to die for us and through his death, save us from eternal separation from God by our sins that would see us judged and condemned to hell. Through understanding we sin and seeking forgiveness through our faith in who Jesus was and is, we could be saved. Jesus had the power to prevent himself from going to that cross but his death there served us. He put us before his own life. For us, meekness is not using our strength for personal gain but to help others. It’s about being humble and in that humbleness, finding blessings from God.